Free Security System! 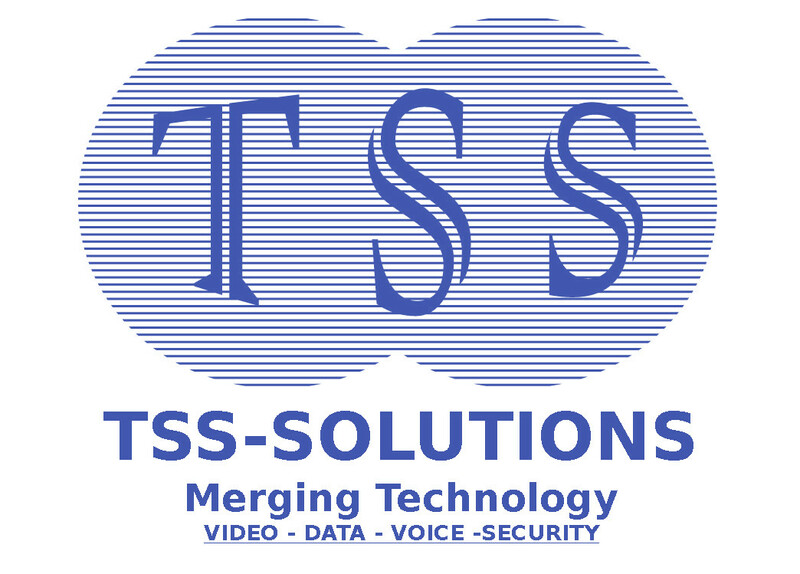 - TSS Solution Inc. The Future of residential / Business security and management is NOW !! Promotion : No Credit Check! With your ADT monitored security system, you receive several channels of protection. Each one of these channels provides a vital security service for you and your family. There is a touchpad which we will place next to the door you use most often. And, it’s easier to use than your telephone as there are only 4 numbers to press when setting up or disarming your system. When you’re ready to leave your home for work in the morning, on your way out, you simply enter your 4 digit master code and press “AWAY” on your keypad (or press the “AWAY” button on the included keyfob). Your system will be activated instantly, except for the main entry door. This door will simply join into the system 30 seconds later. Your system is now armed and you walk to the door, close the door and lock it. Thirty seconds later, before you back out of the driveway, the main entry door has joined into the system. When you return home again at the end of the day and open the door, your new ADT monitored system will greet you with a friendly chirping sound. What the system is saying is “Hello, welcome home, everything is fine. There have been no problems. Please come in and turn me off.” Then you simply enter your four digit master code and press the off button. Now, when you go to bed at night, simply enter your four-digit master code and the “STAY” button (or press the “STAY” button on your keyfob). This will turn on all of your system except the motion detector inside the house. This allows you to get up in the middle of the night without setting off the system. If an intruder attempts to break in during the night, the system will activate. The siren will sound, the system will immediately seize the phone line and transmit all vital information to ADT’s command center. They will know who you are, where you live, what door or window has been violated and they will dispatch the police. ADT will tell them exactly where the problem is so when the police arrive they will go directly to the point of entry. This is a very intelligent system, the type of security that you want and need for you and your family, wouldn’t you agree. If you get up in the middle of the night and go to the kitchen to get a drink of water. You look out the window and you see someone suspicious in the back yard. You don’t have to wait for them to break in to set off your system before help is on the way. You simply go to your keypad and press the clearly marked emergency & panic buttons on your keypad or simply grab your keyfob and press the red panic button. This automatically activates the police emergency channel. The system will immediately seize the phone line and transmit all vital emergency information to ADT’s monitoring center. They will immediately dispatch the police and tell them that you have manually activated the system and need emergency assistance. The police are now on their way to help you. One of the great features of the system is that the police emergency channel is active all the time, even when the system is turned off. Therefore, it doesn’t matter what time of day you need help, your ADT monitored security system is always ready to call for help. Again, wouldn’t you agree that this is the kind of protection you want and need for you and your family. It is a known fact that in a house fire you have about 2 minutes after your smoke detector alerts you to the fact that there is a fire, to get yourself and your family out of the house safely. Based on this fact, this is probably one of the most important issues we will discuss today. You see, by the time the smoke detector goes off, the house is already filled with smoke. You and your children may be dizzy and disoriented from the noxious fumes. Remember, there is not a lot of time. You’ve have been woken up from a deep sleep with the detector blaring. You’re dizzy and have a headache. You wake up your spouse and he/she is confused and disoriented as well. You remember the children! You run to their rooms and grab them. You run with them outside and place them on the lawn with your spouse. You have forgotten to call 911. Now, the 911 system performs a great service for people who do not have a professionally monitored security system. Did you know that the information the operators at 911 must gather from you before they are able to dispatch help, averages 14 questions? This is a very long time when your home is on fire. Well, with your new family security system, your local fire department is automatically contacted when the smoke detector sounds. The system immediately seizes the phone lines and sends the fire signal. All critical information necessary for the fire department to act quickly, your city or town and house address etc. is already on file at ADT’s command center. Remember the 14 questions the 911 operators ask in order to dispatch the fire engines? The fire department is immediately dispatched and already on their way by the time you and your family are safely outside the burning house. I know you would agree, this is the kind of protection you want and need for your family. The threat of a medical crisis is always around. On your new family security system, you simply press the two buttons marked medical and the system seizes the phone line and transmits this vital signal to the command center. The medical emergency vehicle is dispatched and on its way. Wouldn’t you agree that this is the type of emergency medical support you want for your family? 2Not available in all areas. Ask your ADT dealer for availability. Imagine you are busy for a minute at the opposite end of the house. The children (or grandchildren) are playing in the living room. You’ve told them not to go outside until you come back because you don’t want them running out into the street. You’ve set your home security system on “Chime”. If the children become excited and forget your warning and run out the door, the system will alert you with the chime. You can now go immediately to see that the children do not run out into the street. For elderly parents or grandparents who may wonder out of the house without you knowing. For people with swimming pools, ponds or creeks in their backyards. For people who are home alone during the day or evening. I’m certain you can think of many more times where this simply feature would be very useful and provide you piece of mind each and every day.